KMPlayer VS VLC: Which Media Player Is Better? KMPlayer VS VLC: Which One Is the Best Video Player? Recently the famous software related website Winmatrix has been posted a hot poll on the best media players among VLC, BS player, GOM player, KMPlayer, and more. Based on the investigation result, KMPlayer and VLC stand out from the crowd. Why these two media players can tower above their rivals? Which one is the best video music player for you? Here I compare KMPlayer with VLC in all significant directions with a desire to shed some light on these two most popular video players. 5KPlayer - Freely play all SD/HD/4K/8K videos and audios in MKV, MP4, AVI, WMV, MOV, MP3, FLAC, etc smoothly! No need to install any codec packs, plug-ins or components. Both KMPlayer and Video Lan player are the widely used free video players available. They have many sides on common and also host certain unique features. Now let's get close to them and learn more about KMP and VLC. Based on the above table we can see VLC is an Android media player for Android mobile users like Samsung, Sony, HTC, etc. to play video and music files thereon. Yet, KMPlayer is designed for Windows OS users like Windows 10's Phone Lumia, Nokia, etc. for media playback. Of course, it just lists out the basic information about KMP and VLC. There are still many significant aspects they have in common or different from each other. Well, let's have a look in more detail. Which Media Player Be Better in File Formats Compatibility? Compatible with a glut of file formats is what makes these two multimedia players inconceivably acclaimed. First off, K-multimedia player is an open source media player capable to play back a myriad of video and audio formats, including DVDs, VCDs, MP4, MPEG, MOV, FLV, AVI, 3GP, MKV,WAV, MP3, WMA, OGG and RA on Windows without worrying about any codec thanks to its own internal codec aids. Having said that, compared with VLC, it's seemingly that VLC has the edge here. You see, VLC, full name of VLC media player, is also a 100% free media player for Mac OS X, Windows and Linux users to play back even more video and audio formats. Beyond friendly with the above mentioned file formats K-multimedia player supports, VLC also allows the users to play back M4V, MTS, OGM, M2P, XVID, 3G2, MOD, AAC, M3U, MID file formats, as well as playback 8K, 4K UHD, 3D, Blu Ray videos. 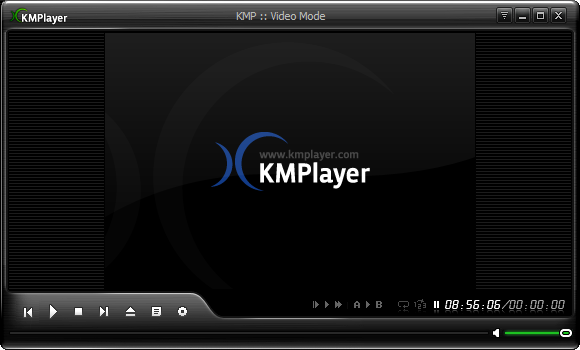 Hence, in terms of this aspect, the Android media player alternative to KMplayer is seemingly more compatible than KMP. Tips: Supposing you have a yen for playing back the camcorder video like AVCHD, TS, M2TS, TOD or other common video, H.264, VOB, RM, WebM, to name a few with KMP or VLC media player, then you need to convert these videos to KMP and VLC acceptable file formats with the top all-in-one video converter-MacX Video Converter Pro, which empowers you to convert any video to MP4, MOV, FLV, AVI, MKV, etc. KMP and VLC recognizable formats with world's No.1 fast speed thanks to its built-in Intel Quick Sync Video hardware acceleration tech supports (the first Mac converter to support QSV tech). More incredibly, this video music converter software can also assist you to download any video music from over 300 video audio sharing sites, including YouTube, Facebook, Vimeo, Vevo, Veho, Dailymotion, Myspace, Metacafe, XNXX, etc. within seconds and transfer them to iPhone iPad Android with 350+ preset profiles provided. KMP VS VLC Media Player: What Are the Trumps of KMP and VLC? APerhaps you can't wait to know what the unique features KMPlayer and VLC have. Primarily, the former outshines the latter concerning its rare 3D format playback function, which allows you to experience the amazing 3D home cinema world with a low CPU Memory share and an optimized, stable playback supported by GPU. More thoughtfully, you can enjoy the wonderful 3D contents without downloading any 3D Movie Plus Apps. In addition, KMPlayer also has an ace in the hole coming soon. That's Cloud KMP designed for you to easily and conveniently manage the media library files that were edited in the album art. Currently this new feature is being developed on an urgent basis. It's convincible that it's coming around the corner and will make your edited files be synchronized at anytime anywhere. Speaking of VL video player highlights, it's mentionable that VLC beats others hands down in its powerful knack to play the video content of incomplete, unfinished, or damaged video downloads before the files have been fully downloaded. And even confronted with some damaged video, it can hassle-free skip the error part and continue to smoothly play back the video with clear image provided. Another shining point rests with VLC interior advanced tech supports which is superior to KMPlayer with no doubt. Take the system resource they needs for instance, it's tested that generally VLC for Android can save up to 80% system resource compared with KMP when they are playing the same video file. In such case, VLC is seemingly much more effective and energy-efficent. KMPlayer and VLC have their pros and cons. It's hard to say which one is the best video player, since it eventually comes down to your own needs. If you are pursuing the media player to play back as many files formats as possible (even the incomplete files included) on any platform, then VLC media player is the second-to-none choice for you. And for those friends who plan to give 3D format a spin and expect to synchronize the customized files, KMPlayer is the ideal expert in this regard. Minor bugs happen: like force close because of subtitles; off-screen playback stoped. supports just about every major video format and even plays audio. Tips: Though KMPlayer and VLC have so many matchless merits that beat others hollow, they also have their limitations, apparently. Look, gluing to play back video on Windows or Android mobile OS is the self-explanatory example. A slew of Apple mobile device users are crucially excluded by KMP and VLC. Fortunately, without laboriously resorting to any media player alternative, the considerate MacX Video Converter Pro can remove your bother easy as pie, which enables you to convert any SD or HD video to iPhone iPad iPod compatible MP4, M4V, MOV formats so that you can just freely watch any video on your Apple portable devices on the go.